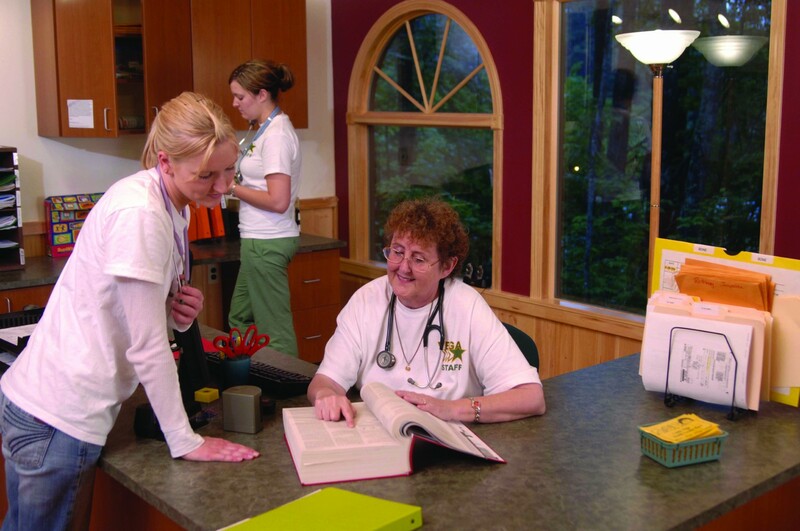 Vega boasts a very well-equipped health center with multiple state-of-the-art treatment rooms, air conditioning and organized supply rooms to provide the most efficient and comfortable care to campers and staff. Why be a Camp Nurse? Do you truly enjoy working with children? Do you love being outdoors? Is a sense of community important to you? Do you enjoy being flexible? If so, Camp Nursing is a rewarding opportunity to care for others in a non-traditional setting. Working in a camp environment provides a fun, challenging experience and opportunities for growth and leadership in a camp community. Camp nursing practice can be an empowering and wonderful experience. It is also work. It is a practice setting where comfort with autonomy is necessary, where the working day may not be defined by eight hours, and where the professional nurse is valued. Camp practice enjoys the enthusiasm of young people, the serenity of campfires, and a sunrise over the lake. Competitive salary plus all living expenses including housing, meals, laundry and internet. Personal cars permitted on camp-grounds and should you choose not to bring your own, there will be an opportunity for you to reserve a camp car when you choose. Come join the Camp Vega family, and have unforgettable summers and friends for years to come!